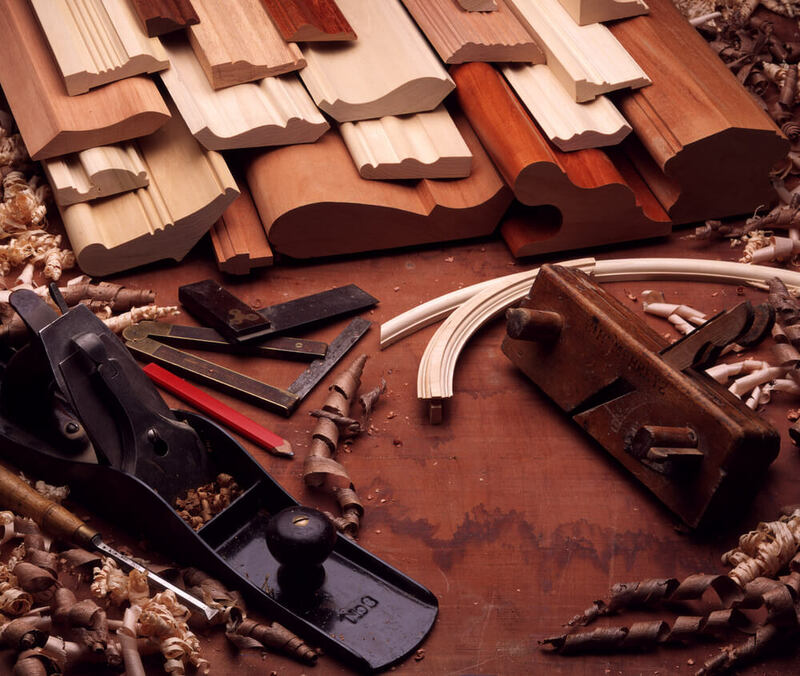 At Records Custom Cabinets and Trim Carpentry, we are seeing more and more people moving their entertaining and their kitchen duties outdoors. 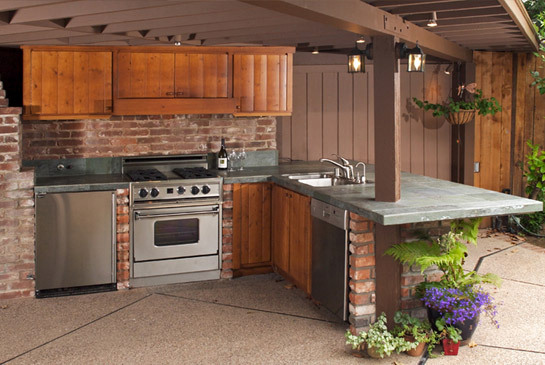 Full size refrigerators, wine coolers, built-in grills, sinks and even ovens and dishwashers are becoming common fixtures in the modern outdoor kitchen. 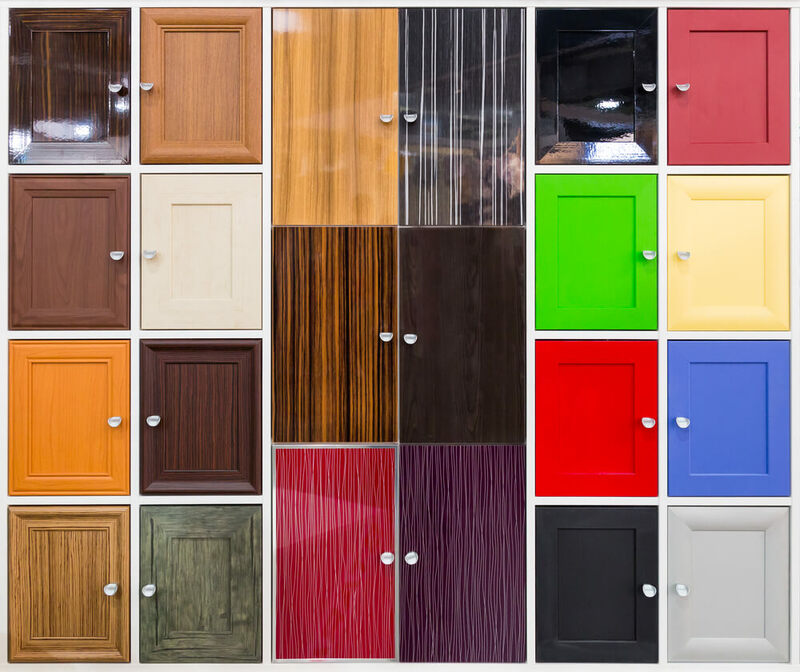 Our outdoor cabinets are designed for years of trouble free use and since each outdoor cabinet we build is custom tailored to your space and needs, you can really maximize your outdoor entertaining space. We can also assist with the selection of outdoor rated appliances, quartz or granite countertops, weather proof TVs and appropriate exterior task lighting. 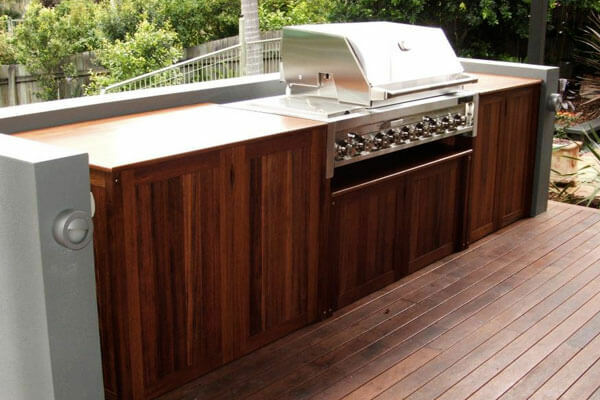 All of our custom outdoor cabinets are designed to stand up to the harshest conditions Mother Nature can throw at them! 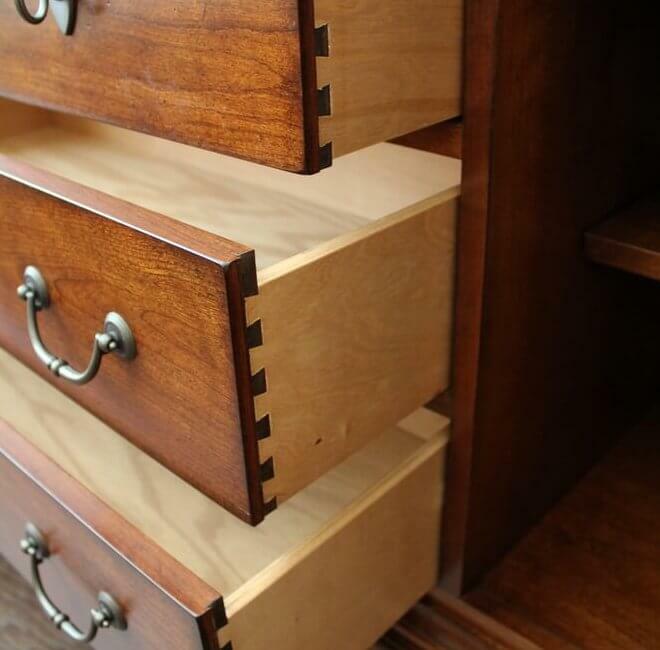 We use marine grade stainless hardware and special weather resistant cabinetry materials that are hand selected for durability, appearance and functionality. 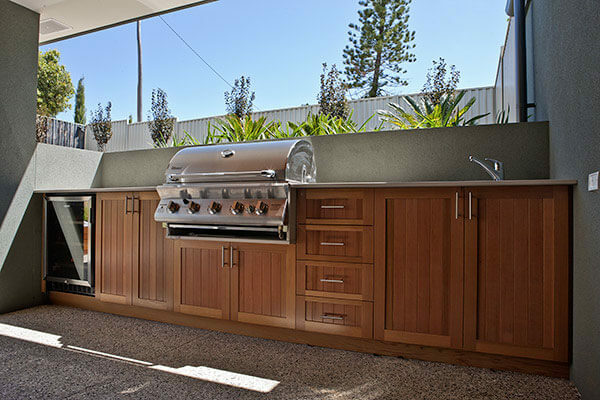 Whether you prefer the look of masonry, stucco, tile, domestic hardwoods or exotic woods like teak, we can design an outdoor kitchen to fit your needs and embrace your style! A Records Custom Cabinet and Trim outdoor kitchen will bring you years of enjoyment and make you the envy of the neighborhood! 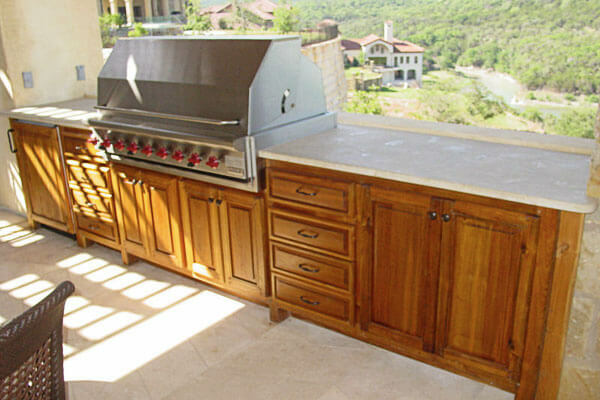 Every custom outdoor kitchen we design is first planned on our cutting edge 3D CAD software program. 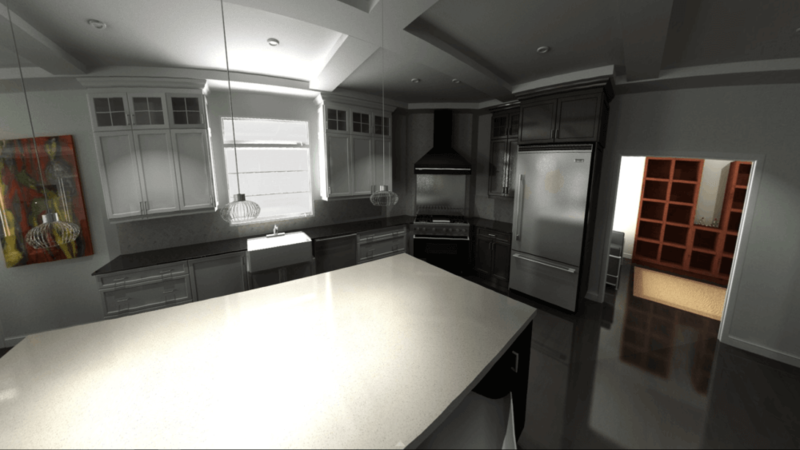 This step allows you to see your new custom outdoor cabinetry in the virtual world, before the first piece of lumber is even cut. 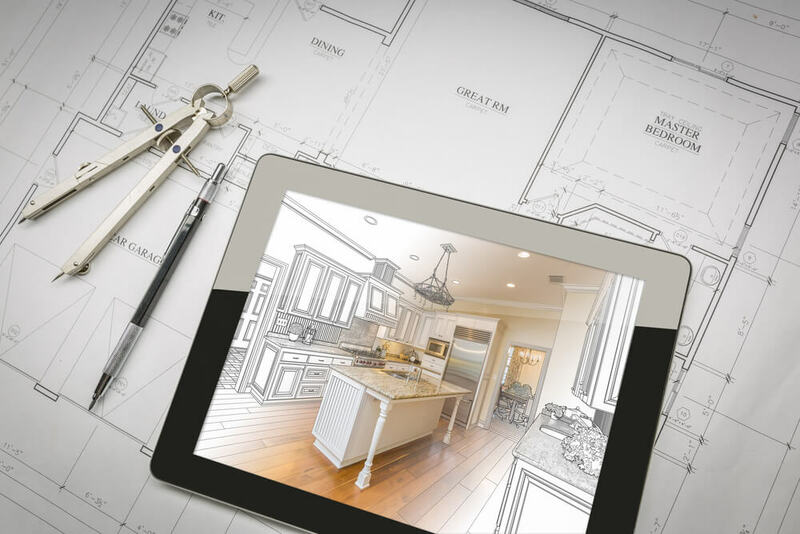 Once the design is approved, our craftsmen will promptly convert the 3D design into the outdoor kitchen of your dreams, right here in Central Kansas! 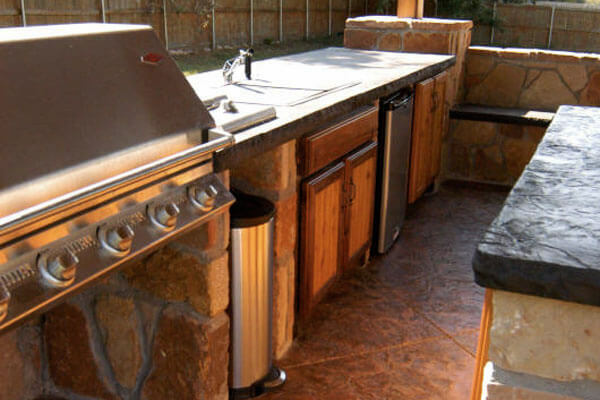 Call us today at (316)733-6800 or contact us online to speak with one of our project managers about your custom outdoor kitchen cabinetry or outdoor kitchen remodeling needs.